They both wanted it, and Tuesday the UFC granted the featherweights their wish. 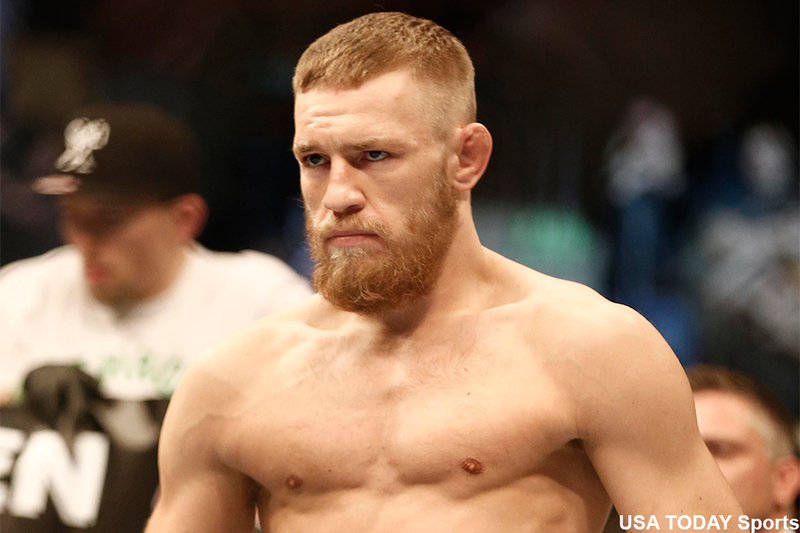 Conor McGregor (pictured) will face Dustin Poirier at UFC 178. The beef between the two has been burning white hot since McGregor posted Saturday’s first round TKO victory over Diego Brandao. Poirier, much like many other 145-pounders, doesn’t like the perceived (clear) favoritism UFC brass has shown the unproven Irishman. McGregor said he’d be down to test his skills against Poirier, and “Diamond” quickly accepted the challenge. McGregor is perfect through his past 11 outings. His last three fights have come under the UFC’s watch. Poirier will be riding a three-fight winning streak into the shootout. “Diamond” most recently finished Akira Corassani in April. “If you build them I will come,” Poirier tweeted after the UFC announced the matchup. The September 27 event goes down inside MGM Grand Garden Arena in Las Vegas, Nevada.